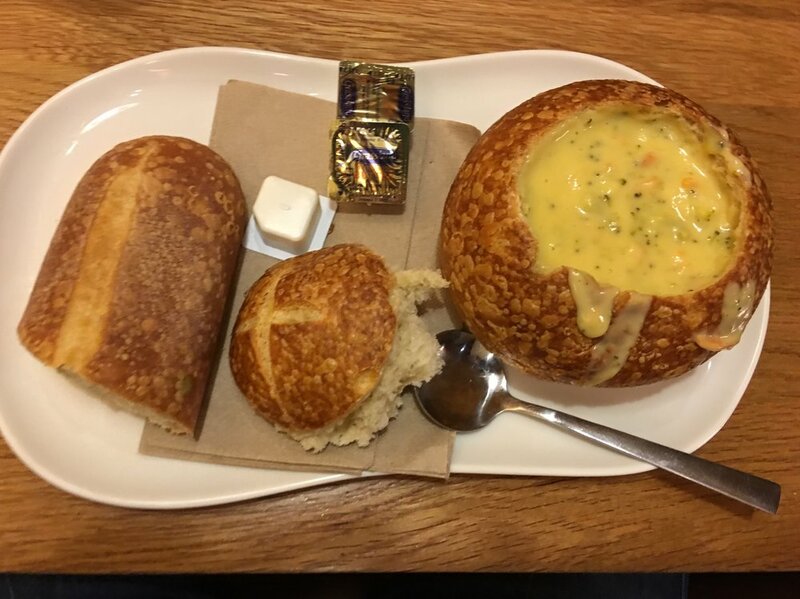 The Famous Broccoli Cheddar Soup is made with Chopped Broccoli, Shredded carrots and select seasonings. This is a great soup and full of flavor with large chunks of broccoli through out that has been stemmed then added to the soup and pureed into the cheese base. The added carrot and broccoli fresh adds a great bit of fresh nots to this overly rich soup. The spices in this are so subtle that you can not tase them in any way and this maybe a good thing to some but to me I would have like to have another flavor then Broccoli, and Cheddar. To me this has one big problem and that is with this version to me you get very little soup and is high in price for the amount you get.